Eric Walton has been a proud denizen of the New York theater scene since the mid-nineties, since which time he has acted in numerous plays and won the praise of theater critics from The New York Times, The Village Voice, Backstage, The New York Press, Showbusiness Magazine, The Star-Ledger, NYTheatre.com, and others. Eric has appeared in commercials for Toyota and Skype and played the role of Slash in the independent film Chasing Butterflies. 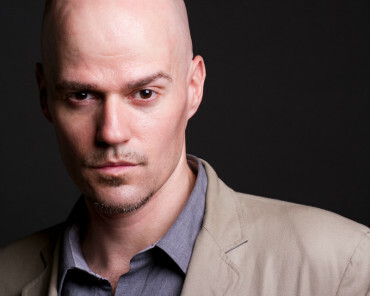 His Off-Broadway and regional theater credits include the role of Rick Tannheuser in Tannheuser: The Play at The Ohio Theater; the Herald in Marat/Sade at the Classical Theater of Harlem; and, the Waiter in the U.S. premiere of Dinner at the Bay Street Theater. He has written seven plays to date and his work has been produced on two continents by the likes of Daryl Roth, Fletch Productions, Cirque-Tacular Productions, Double Helix Theater Company, Push Productions, Impetuous Theater, and Gravity and Glass Productions. He has so far won two prestigious awards for his acting, but refuses to give further details.